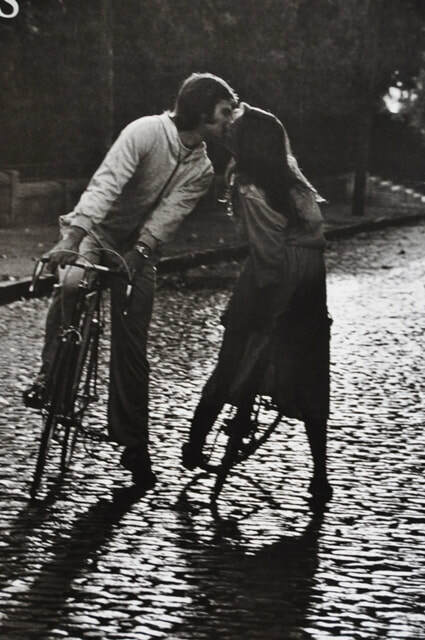 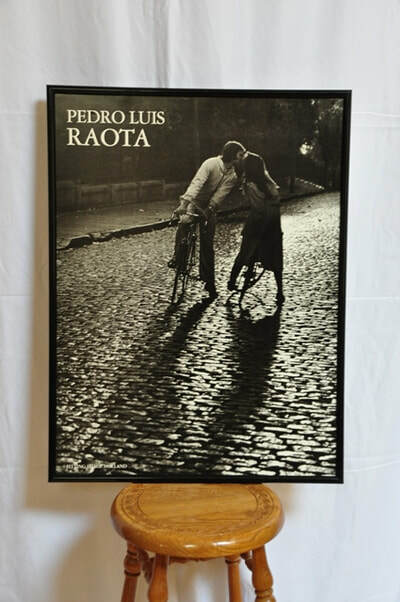 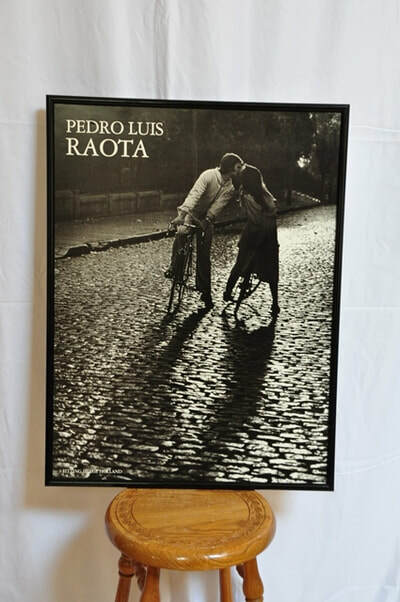 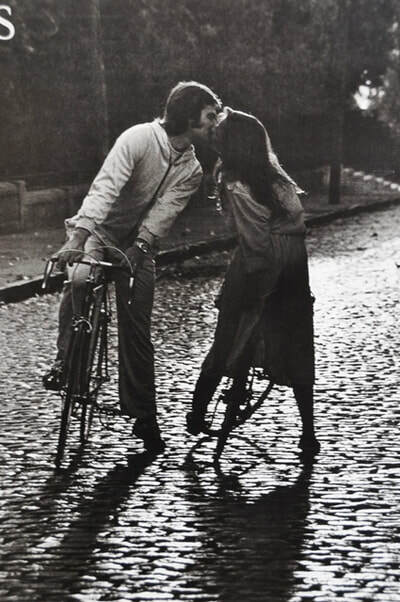 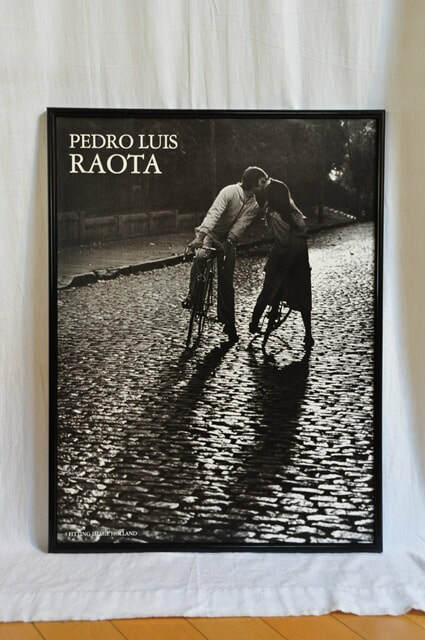 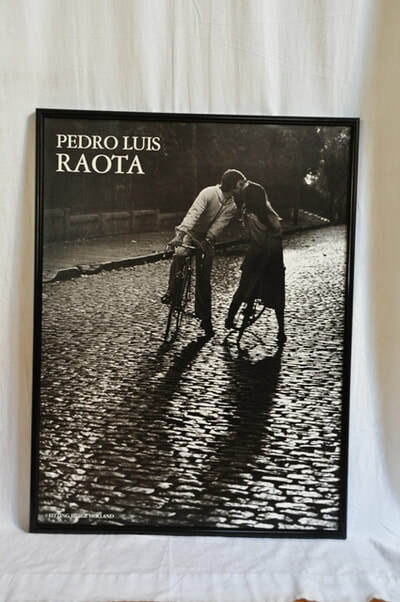 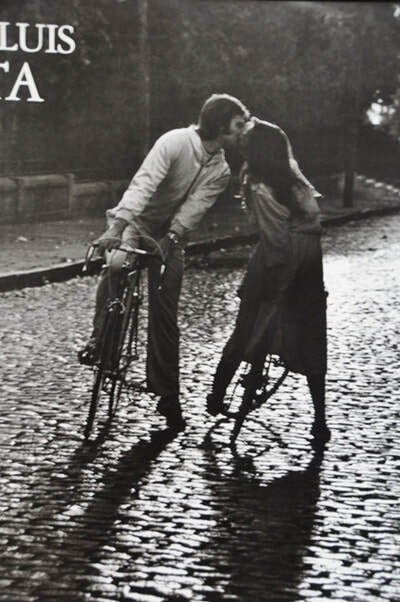 This is a romantic B&W poster depicting a man and a woman kissing while straddled on their bicycles in a cobblestone street. 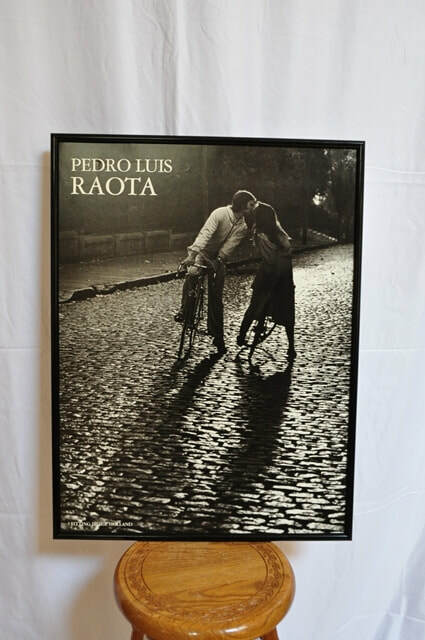 This photograph was taken by the famous Argentinian photographer Pedro Luis Raota (1934-1986), most likely in Buenos Aires, Argentina. 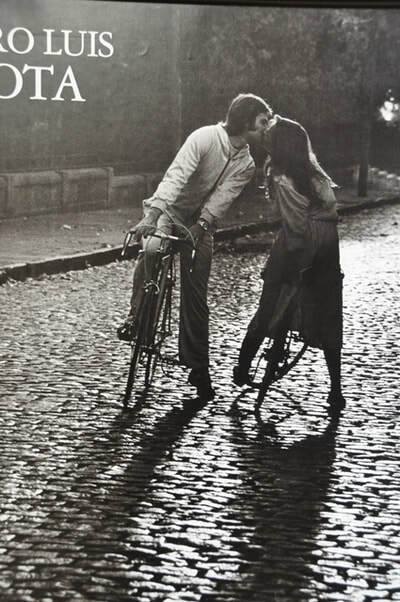 Here is a link to some of his well known photographs. 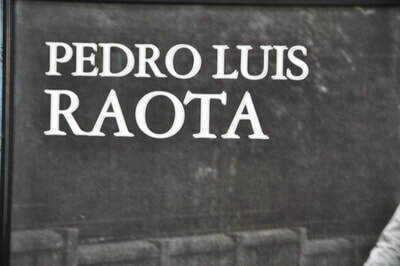 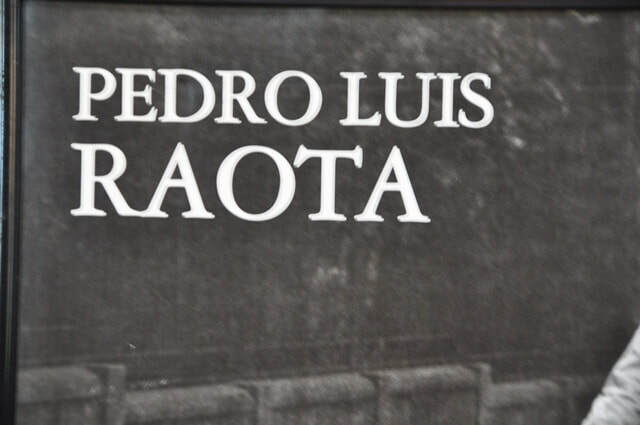 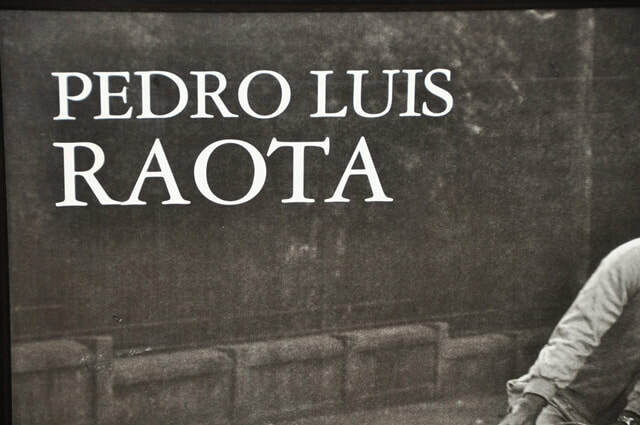 Here is a link to a longer biography in Spanish. 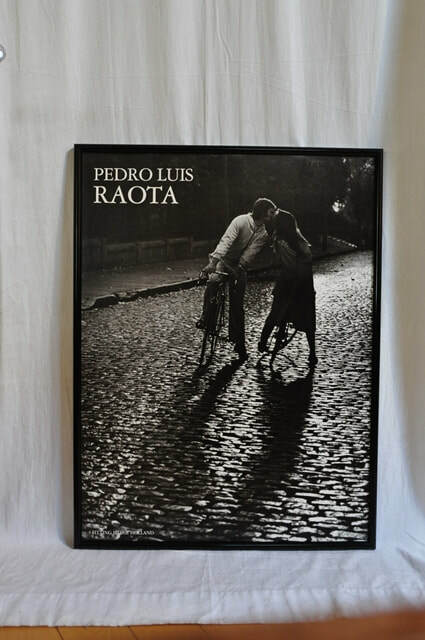 The hallmark of Raota's photographs is a strong light accent on a dark background. He photographed people and their lives, depicting human emotions: joy, sadness, anger, helplessness, etc. 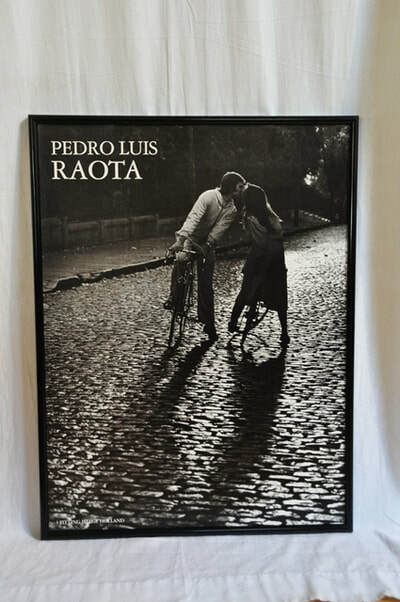 This particular poster was published by FITTING IMAGE HOLLAND in the mid 1990's and seems to be no longer available. The frame size is 24-1/2"x32-1/2".